Alternatively, how likely is it that we will? In today's Britain, people are now charged – and in some cases jailed - for even thinking about terrorism and details of suspected terrorists' plans can be revealed to the media even though it is also admitted that the intelligence that led to the raids "could be wrong" . The J7 campaign is extremely concerned that the measures put in place that are supposedly designed to protect the public could actually present a bigger threat to our safety and freedom than terrorism itself, and constructing more of a climate of fear than the terrorists ever could. The events of the 7th of July 2005 were horrific and shocking. The entire nation virtually ground to a halt to watch the news unfold and by early afternoon there could hardly have been a subject of this country who had not heard of what was happening in London. Understandably, the effects of the day were far reaching, even for those with no direct involvement. “One of the defining characteristics of traumatic events is their capacity for provoking intense feelings of terror, horror, fear and helplessness, as they represent a serious threat to the life and well-being of individuals. The profound effect of such events on many people who are exposed to them is well documented and there is no more pertinent example than that of terrorist attacks, events caused by other human beings that generate interpersonal violence in a deliberate manner. Since the events of September 11 in New York and Washington, research interest in the psychological impact of terrorism has increased exponentially. A range of studies carried out since the attack on the Twin Towers have reported the profound psychological effects on both New Yorkers and the American population in general....residual psychological effects endured among the US population in general. Two months after the disasters in New York and Washington, it is estimated that around 12% of the country’s inhabitants presented clinically significant psychological disturbances, while between 25% and 30% showed anxiety and avoidance behaviours with regard to situations that reminded them of 9/11. Six months after the events, two-thirds of Americans reported being still afraid of future terrorist attacks that could endanger their lives and the lives of those close to them. Even two years after the events, two-thirds of New Yorkers continued to be fearful about the possibility of another terrorist attack on their city, and around a third of those studied claimed to have been unable to normalize their life. "It's not only the [direct] victims and survivors who are to be measured and assessed, you have to look at the overall context; the larger and long-term effects of [the terrorist attacks] are tremendous. We're going to see all kinds of psychological effects, and social and economic effects." Therefore, it cannot be surprising that an ICM/Guardian backed survey found that 73% of Britons were happy to hand over their civil liberties in exchange for improved security against terrorist attacks, even favouring torture for deported terrorism suspects, in the weeks following July 7th. 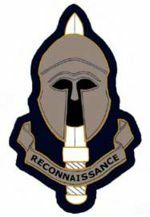 However, in the 18 months since that terrible day, the people of Britain have been discovering the reality of 'better protection' against terrorism, which includes the implementation of the Serious Organised Crime and Police Act, the implementation of Operation Kratos which, until it was used with fatal consequences, had been kept secret from the public, the 2006 Terrorism Act and increased surveillance in all areas of life. Terror laws: protection or control? 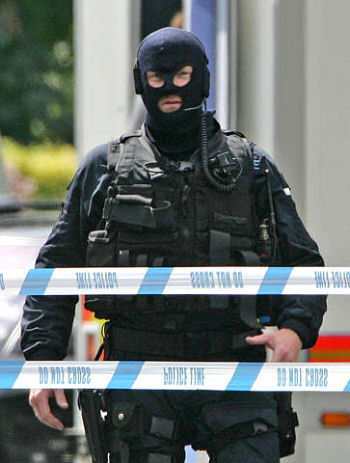 Before the attacks of September 11th 2001, the UK Government had brought in the Terrorism Act 2000, which replaced and repealed the 1989 Prevention of Terrorism Act, which was primarily focussed on terrorism related to Northern Ireland. In fact all Terrorism Acts have their basis in the Prevention of Terrorism Act 1974, which was brought in to deal with the then perceived threat of IRA activity on the British mainland. In the aftermath of the September 11th attacks, the government rushed through 'emergency' legislation to increase existing powers to deal with individuals suspected of planning or assisting terrorist attacks within the UK. This legislation was already underway; September 11th clearly provided the justification. A key feature of the Anti-terrorism, Crime and Security Act 2001 was that resident foreigners suspected of terrorism could be interned without trial, if they could not be deported to another country without breaching British human rights legislation (for example, if they might be subject to torture or the death penalty in their native country). Several individuals were interned, mainly in Belmarsh prison, under these powers; they were free to leave, but only if they left the country, which some did. The 2000 Act defined the use of the threat of 'terrorism' as “designed to influence the government”. This is an interesting interpretation; clever litigation could easily use it to shut down all forms of opposition, especially since now it has become apparent that the definition of a terrorist has also changed. For example, even something as simple and innocuous as a petition to the government requesting that they take a course of action in the interests of the people can be classified as "designed to influence the government" and therefore be labelled as 'terrorism' and prosecuted as such to the full extent of so-called 'anti-terrorist' legislation. “The bill does not focus on demonstrations, which are a normal activity in a democracy. I wholly defend people's right to go in for peaceful protest." “I pass protesters every day at Downing Street, and believe me, you name it, they protest against it. I may not like what they call me but I thank God they can. That's called freedom". However, it seems that at some point, Jack Straw, Tony Blair and the government as a whole, changed their minds about whether or not people in a so-called 'free' and 'democratic' country should be allowed the right to peaceful protest. (p) a requirement on him to report to a specified person at specified times and places. In other words, to address the Lords' objections to suspects being in jail without trial, the government amended the legislation so that suspects were allowed to be in their own homes, but may as well be in jail without trial. The Act was not well received, due to its continued incompatibility with Human Rights and went back and forth between the Houses of Lords and Commons until a compromise was reached, although the Lords' proposed 'Sunset Clause' was rejected in favour of a review – which meant the government was under no obligation to prove that the legislation was a necessary and a measured response to the threat of terrorism in the UK. After the 2005 Prevention of Terrorism Act was brought in, a new law was also introduced; the Serious Organised Crime and Police Act. The act incorporated an unrelated provision; sections 132 – 138, which ban anybody from protesting without prior authorisation within 1km of Parliament, and has been criticised by the House of Lords. The law was intended to remove Brian Haw; an anti war campaigner who has been protesting against the UK government's policy towards the Middle East since 2001. Mr. Haw has since successfully fought off attempts by the new laws to remove him as his protest vigil pre-dates the legislation. Maya Evans was the first person to be charged and convicted under Section 132, in December 2005, for reading aloud the names of the 97 British soldiers who had thus far been killed in the illegal war in Iraq. In 2005, anti terrorism laws to stop and search were used on an astounding amount of people; the 'crime' of one, an 80 year old man, was simply to be wearing T-shirt with an anti-Blair slogan. Two women were arrested for protesting at an arms fair (the irony of peaceful protestors being arrested under anti-terrorist legislation at an arms far not being lost on anyone), and an 82 year old Labour Party activist was manhandled out of the 2005 Labour party conference for committing the offence of shouting “nonsense” during Jack Straw's defence of the government's decision to invade Iraq illegally. Walter Wolfgang, a committed and lifelong Labour party member, was further prevented from re-entering the conference under the powers of the act. Walter Wolfgang was not the only person to be detained under section 44 of the terrorism act during the conference. In fact, over 600 people were held, although none were arrested or charged. It could be inferred from even the brief evidence listed above that, rather than be used to defend the British people against 'terrorists', the new 'anti-terrorist' laws were actually being used by the British state to defend itself from the very people it is meant to serve. This aims to capture those planning serious acts of terrorism. This will cover the sale, loan, or other dissemination of terrorist publications. This will include those publications that encourage terrorism, and those that provide assistance to terrorists. This makes sure that anyone who gives or receives training in terrorist techniques can be prosecuted. The Act also criminalises attendance at a place of terrorist training. Increased flexibility of the proscription regime, including the power to proscribe groups that glorify terrorism. The legislation successfully secured the conviction of Dhiren Barot in November 2006, who was sentenced to life imprisonment for 'Conspiracy to murder', despite the fact that there was no evidence that he was capable of carrying out what he was accused of planning. The absurdity of anti-terror legislation was also illustrated in the alleged 'Airline Terror Plot' of August 2006, in which 24 people were arrested, suspected of planning to smuggle liquid explosives onto planes, despite the fact that they possessed no plane tickets, and in some cases, no passports. Furthermore, well decorated and well respected military and explosives experts, as well as organic chemists, have gone on the record to categorically state the chemical processes required to make the 'plot' happen were so infeasible that the plot could only be a 'fiction'. Still, as a result of the spectacular foiling of the fictional plot at London's Heathrow Airport, security measures were put in place which included the banning of hand luggage, liquids being taken onto aircraft, including beverages. Passengers were permitted to carry on baby milk, provided the parents tasted it in front of security staff to ensure it wasn't an explosive mixture. Despite the apparent fear of explosives, when liquids were confiscated from passengers, they were simply put into communal rubbish receptacles whereupon if they had been explosive, they could easily have mixed with other potentially explosive liquids also in the bin. As a result of the hysteria that was generated, people who were understandably nervous about air travel allowed their raised fear levels to demand that perfectly innocent passengers of Asian appearance were removed from a flight from Malaga to Manchester. The Attorney General, Lord Goldsmith was highly critical of John Reid for declaring they had captured the “main players” of the alleged airline plot, and therefore indicating that the suspects are guilty before they have even faced trial, contradicting and effectively removing their legal right to the presumption of innocence, the same removal of the legal right to the presumption of innocence that has been applied by the government and media to the four men accused of perpetrating 7/7. 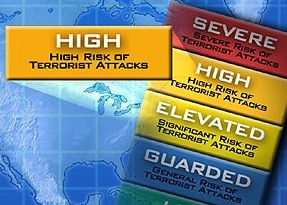 Strangely, despite having rounded up all the alleged air terror plot terrorists, the government also raised the national security threat level to its highest, prompting some to question the logic of raising the alert level after the 'terrorists' had been rounded up. 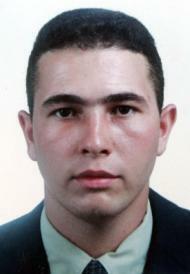 Other high profile cases where innocent members of the public have paid the price for the threat of Islamic terrorism include the shooting of Jean Charles de Menezes in July 2005, the shooting of Mohammed Abdul Kahar in Forest Gate in June 2006 and cases where people found innocent of involvement in terrorism have had control orders imposed on them regardless. One has to wonder exactly what 'freedoms' it is that are left that the 'terrorists', who apparently hate us so much for them, are attempting to remove. The government itself has done the job for us. The 7/7 documentary programme, Ludicrous Diversion, points out that Identity Cards would have been as useful in preventing the July 7th attacks as license plates would be in preventing car crashes, since all four suspects would legally have had one. Identity Cards are just one more attempt to impose controls on the subjects of this country. The police are allowed to record the DNA details of every person arrested, no matter what the reason and regardless of whether or not the arrest results in a conviction. There is now in place a database of 3.6 million DNA samples, the largest such database in the world. In October 2006, it included those of more than 150,000 people who have no criminal record. By December of the same year, this figure had risen to over a million. "The combination of CCTV, biometrics, databases and tracking technologies can be seen as part of a much broader exploration, often funded with support from the US/UK 'war on terror', of the use of interconnected 'smart' systems to track movements and behaviours of millions of people in both time and space,"
"As ever-more information is collected, shared and used, it intrudes into our private space and leads to decisions which directly influence people's lives. Mistakes can also easily be made with serious consequences — false matches and other cases of mistaken identity, inaccurate facts or inferences, suspicions taken as reality, and breaches of security”. In November 2006, police commenced with the use of hand held hand-held fingerprint readers, which allows officers to search through a database of 6.5 million fingerprints in order to quickly identify 'suspects' stopped by police at the roadside and the government and police are also now reportedly considering attaching microphones to CCTV cameras in order to monitor conversations in the street, a practice that Westminster Council has been indulging in since May 2005. Aeroplanes aren't the only method of public transport in which people are tracked. In 2003, Transport for London introduced Oyster Cards with unique ID numbers linked to the registered owner's name, which is recorded along with the locations and times of each time the card is used. Although the information is said to be recorded and used for “business purposes” and to “improve the journey planning process”, the information has been increasingly used by police to track the movements of 'suspected criminals'. Agreements are already in place to facilitate data sharing between Transport For London and the police and Oyster Card access to London's transport facilities can be disabled at the whim of either TFL or the police. Any Londoners who wish for their teenage children to qualify for 'free' travel on London Transport are forced to condemn their children to using an Oyster Card and and must also give permission for the police and TFL to do with their child's personal information and travel data as they please. This is the unseen and unmentioned cost of 'free' travel in a 'free' country, namely I.D. cards and erosion of privacy that they bring, by stealth. For those who do not wish to have their travel data logged, monitored and shared with the police, the financial cost is high and rising rapidly. If one elects to pay cash for travel, a single stop train journey in London now costs £4.00 and a bus journey £2.00 as a result of Mayor Ken Livingstone's plans to 'force' the use of Oyster Cards and, of course, you will still be filmed everywhere you go by the extensive privacy invading CCTV network. "All too often we have seen data collected for one apparent purpose, only for it to end up being used for something entirely different.....We will be monitoring the situation carefully to ensure that this sort of 'function creep' doesn't occur in this instance"
"Instead of wasting hundreds of millions of pounds on compulsory ID cards, let that money provide thousands more police officers on the beat in our local community." A central database of biometric identifiers will detect whether a person is using multiple identities. A process of comprehensive “biographical footprint checking” will help determine whether a person is using a false identity. A comprehensive vetting of card applicants might detect those people who have a background that is indicative of a terrorist profile. The existence of a compulsory identity card will expose those terrorists in the UK who have not registered. The target terrorists will be entitled to an identity card. The target terrorists will apply for an identity card. Target terrorists who are entitled and motivated to apply will do so using their true identity. Measures will be in place to detect suspected persons who are living in the UK without an identity card. Data matching systems will reveal information that relates to a suspect. When it is considered that the effectiveness of Identity Cards could rely on quite naïve assumptions, that its technology is completely insecure and that biometrics are susceptible to circumvention and hacking, it is not surprising that there is so much opposition. "It is very unlikely that a terrorist is going to be carrying bomb-making equipment around with them in the street. So, I am not sure what purpose it serves, especially as it upsets so many people, with some sections of our community feeling unfairly targeted. It seems a big price to pay....we have to question the way we use a power that causes so much pain to the community we serve but results in so few arrests or charges. Is it worth it?" “We have got nothing about these surveillance technologies in themselves, but it is their potential uses about which there are legitimate fears. 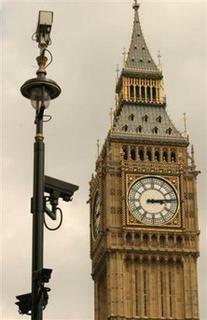 Unless their uses are regulated properly, people really could find themselves living in a surveillance society. Other ways in which personal information relating to individuals is or will be recorded and wide open to abuse, are the NHS database of patient files, which will be coming into effect this year. The health department's IT agency states chillingly: "Patients will have data uploaded ... Patients do not have the right to say the information cannot be held." Even the British Medical Association has reservations over the database for reasons of privacy, and an inquiry carried out by The Guardian concluded that there was a lack of safeguards for patient confidentiality. The government claims that computerised 'sealed envelopes' will enable patients to protect sensitive sections of their medical history from being widely accessed, but no such software presently exists and some doctors say that it would be unworkable in any case. Furthermore, if the 'public interest' is deemed to be greater than a person's right to confidentiality, the 'seal' is permitted to be broken, rendering it somewhat useless. The effectiveness of the Home Office's Criminal Records Bureau has also been subject to serious criticism after it was revealed in 2006 that 2,700 innocent people were erroneously flagged up as criminals during employer searches - and not for the first time. It also emerged in January 2007 that the Home Office had failed to pass on the details of 27,500 offences committed by Britons abroad, resulting in the records not appearing on the national database of the CRB, potentially risking children, young people and vulnerable adults. Some MPs have also expressed concern over the fingerprinting of children in schools, which directly contravenes the Data Protection Act. A poll revealed in February 2007 that as many as 3,500 schools are taking biometric information from pupils without parental consent, leading campaigners to express worries that since biometric data is permanent, children could be at risk of identity theft at any point during their adult lives and, perhaps of more concern, that the practice leads children into becoming accustomed to freely giving out personal data with no fears for their privacy. In July 2006, Liberal Democrat MP Norman Baker obtained information which revealed that MI5 holds secret files on 272,000 people in this country who pose no threat. The government refused to comment on the revelations or explain why they are not focussing on retaining information specifically on those who are suspected of threatening the security of the UK. In short, the measures being put in place to control the entire populace for its security and protection are wide open to abuse and the likelihood is that they will do more damage to innocent people than safeguard them. The various databases, legislations and issues outlined here are just a selection of the vast number of ways the measures apply. Identity Cards rely on the honesty of potential criminals and have been proven to have no effect on terrorist activity, one third of the DNA database is comprised of the details of innocent people, the NHS database leaves us all vulnerable to the most personal details of our health becoming common knowledge to complete strangers, the CRB database has given criminal records to those who committed no crime and vice versa, the public's right to information has been severely curtailed, the security services compile dossiers on people with no criminal history or proven intent to commit crime and children are being conditioned to be less concerned over the security of their biometric data. All of the surveillance and centralised information undoubtedly leaves the door open for false matches, mistaken identities and breaches of security. It seems there are still plenty of people believing and trusting in the government and living in fear of the perceived terror threat. We are constantly reminded another attack is highly likely and the threat of terror will "last for a generation". A study published in January 2007 showed that support for civil liberties in Britain is declining, with eight out of ten respondents believing that restricting the freedom of those suspected of terrorism – despite the fact that the definition of a 'terrorist suspect' has become much broader and more ambiguous in the last few years - is a “price worth paying“. A BBC debate asked the public if losing civil liberties really was a price worth paying, and received mixed responses. Although around two thirds of commenters recognised that curtailing the freedoms of the entire population was, at best, giving into the threat of terrorism – some even pointing out that terrorist activity is perpetrated in countries with far less concern for the rights and liberties of its citizens - there were many who contended that their right 'not to be blown to pieces' was greater, and that even if there was the slightest suspicion about someone they should be 'quarantined' or deported with no trial. The J7 campaign wholeheartedly believes that every citizen of this country most certainly deserves both. When the public has been fobbed off with an Official Report into the London bombings of July 7th 2005, which does not give a cohesive and truthful explanation for what happened or how it happened, and denied the opportunity to discover the facts via an independent inquiry due to the Inquiries Act 2005, then why are sacrifices being demanded of us on the basis of flaws and secrecy? The terror threat to this country should be neither manipulated nor exaggerated in order to justify draconian measures taken against UK subjects, yet this is precisely what is occurring. Locking away 'terrorism suspects' for months without trial signifies that the government believes that injustice is a reasonable response to the terror threat, a 'terror threat' which none of us can be sure is being described truthfully. In January 2007, the Director of Public Prosecutions stated that allowing the threat of terrorism to trigger a "fear driven and inappropriate response" would damage the freedoms and values of the British public. This makes it hard not to view with a cynical mind the statement by John Reid in August 2006 that "we may have to modify some of our freedoms in the short-term in order to prevent their misuse and abuse by those who oppose our fundamental values and would destroy our freedoms and values in the long-term". “When it comes to our essential values - belief in democracy, the rule of law, tolerance, equal treatment for all, respect for this country and its shared heritage - then that is where we come together, it is what we hold in common; it is what gives us the right to call ourselves British. At that point no distinctive culture or religion supersedes our duty to be part of an integrated United Kingdom. But is the biggest threat to the freedom of the people of the UK coming from one 'distinctive culture or religion'? Or are we, the public, being subjected to an insidious campaign by the government and its propaganda tools to encourage us to mistrust and demonise certain sections of society, whilst the genuine threat to our freedom is smothered in sugar-coated promises of safety? Negative outlooks on Muslims have been allowed to pervade the media. Jack Straw sparked a nationwide debate around the same time that the explosives were found in the home of ex BNP member Robert Cottage, by commenting that the wearing of veils by Muslim women hamper community relations. After it was revealed that burqas had been used as a convenient disguise to facilitate escape of the suspected killer of PC Sharon Beshenivsky and one of the July 21st 2005 failed bombing suspects, in January 2007, it emerged that immigration officials can now detain people attempting to leave the country wearing a veil unless they show their face. The coverage of Mr. Straw's comments and the notion that the veils worn by millions of Muslim women have been used in high profile criminal activity can't have failed to have further encourage distrust of Muslims in general. Hardly a week goes by in certain sections of the media without a story on Muslims being a threat to our way of life - but are they? “The favourite line from the war on terror's military-industrial complex is that in 2001 Osama bin Laden "changed the rules of the game". (Forgotten is that he attacked the same target in 1993, his only error being one of civil engineering.) George Bush repeated the change thesis again on Wednesday in confirming his secret interrogation camps and excusing the five-year delay in bringing al-Qaida suspects to justice. Tony Blair cites the change with every curb on civil liberty. The "new" terrorism requires a new approach to public safety. The security industry cries amen. Paraphrasing Alfred Hitchcock, Peter Power insightfully reminded us after the July 7th bombings that “Terrorism relies less on the bang and more on the fear of the bang to achieve its purpose”. With the fear being instilled in us to such an extent that it is almost as much a part of our lives as breathing, this is an issue we all owe it to ourselves to consider carefully, lest we risk placing so much faith in perceived guarantees of safety that we condemn ourselves and future generations to a country where freedom and democracy become words with forgotten meaning rather than the fundamental rights of everyone.